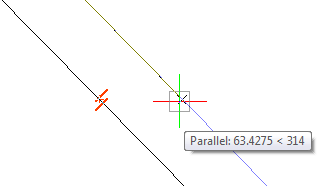 Toggles parallel entity snap; draws lines, polyline segments, xlines, and rays parallel to another entity. Entering this command toggles Parallel entity snap. It draw lines parallel to another entity.